You can contact us in numerous ways! You can stop on in and say Hi! 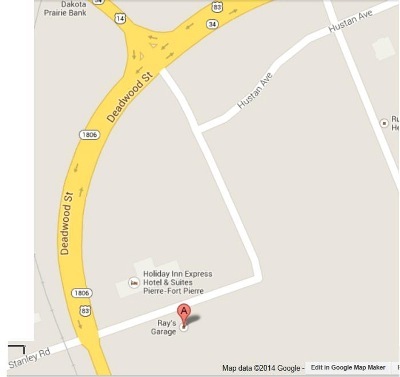 We are located at 115 E Stanley Rd in Fort Pierre, SD. We are right across the street from the Holiday Inn. Or you can call, fax, or shoot us an e-mail! Love to see and/or hear from one of our valued customers soon!